I have just started to get serious about earning more affiliate income. Sure, I always throw in a contextual link or two to relevant posts, but only at the end of 2015 did I begin to dive deeper into affiliate marketing. I am sure you won’t be shocked when I disclose that this post contains affiliate links, but I assure you I only recommend products that I use and genuinely find useful. We used Easy Product Displays to roundup all our gift guides. 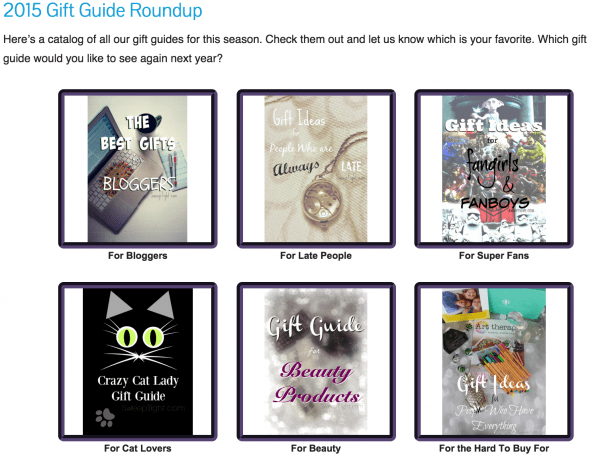 Gift Guides – Around the holidays gift guides can do really well. If you do proper SEO research, they can rake in affiliate income around every gift-giving holiday. In the past, I hated creating gift guides with a passion. If I wanted to line the products up nicely, I had to mess with HTML code, and that can be a nightmare. After I had taken the Pajama Affiliates course, I learned about Easy Product Displays and fell madly in love. It’s so beyond easy to create roundups of products and customize them to your liking. 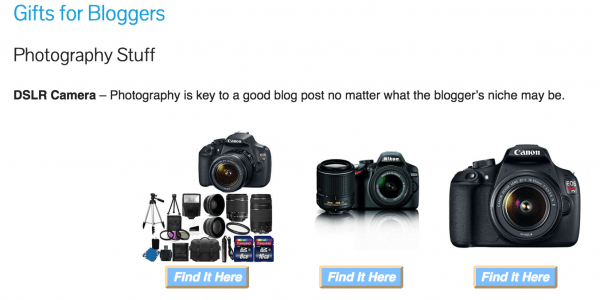 Product Reviews – If you do product reviews on your blog, I hope you include affiliate links. If a person is searching for a review of a product, most likely they intend to purchase it. Your honest review might just be what they needed to make up their mind. Increase your chances of them buying through your links by including a clear call to action like a “buy it from Amazon” button. People trust Amazon and feel comfortable shopping on their site. Recipe Posts – Make it easy for your readers to find all the ingredients they need to make the recipe. Same with crafts. How To Posts – If you are showing your readers how to do something, link to any products or services they need. Wish Lists – Similar to gift guides, but a “favorite things” post or your current wish list can spark interest and encourage purchases. Niche Sites – Another experiment yet to be deemed worth our time. My sister and I have been creating sites with a very narrow niche. The idea is to do extensive SEO research to rank as well as possible in search engines with these sites. That way you know when someone searches for your topic, they are most likely ready to purchase. Stay tuned for reports about our adventures with niche sites. I am not including this in the main list since it requires starting a new blog. 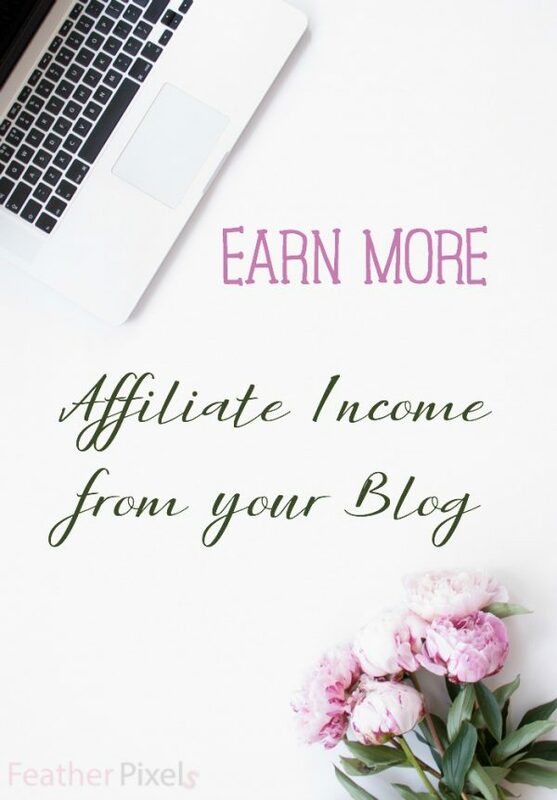 Depending on what you blog about, there’s most likely a way for you to incorporate affiliate links. In fact, I can’t think of a niche that doesn’t include helpful products of some sort. Of course, Amazon is the site I link to most often in my posts. It’s the largest online retailer and people trust purchasing from Amazon. However, if you live in a Nexxus state that forbids you from becoming an Amazon affiliate, there are other options. My second favorite affiliate site is Shareasale. I will go into more detail about affiliate sites in another post, but Easy Product Displays supports Amazon, Shareasale, and Zazzle. I am happy to report affiliate income growth since using Easy Product Displays. It’s not life-changing affiliate income, but it’s promising. For an example, above is an image of my Amazon affiliate income. You can see it’s pretty non-existent during quarter 3 of 2015. The end of Q3 is when I started using EPD. Quarter 4 is expected to pick up due to holiday shopping, but it’s still a higher conversion that I have ever seen thanks to using EPD in our gift guides on Sweep Tight. We are a month and a half into this year, and I still see a higher conversion rate. Quarter 1 is notoriously slow when it comes to shopping, so I am just happy to see any growth. The money is nothing to retire on, but it can grow into a decent additional stream of income from your blog. Easy Product Displays has many other uses, as well. Create side bar ads, roundup posts, and more. Basically, anything you would want a table format for, you can use EPD to create without creating the code yourself. EPD has tutorials to show you the many uses. They also have an extremely helpful Facebook group. As you can tell, I am excited about the EPD blogging tool. I would have never known about it if it wasn’t for the Pajama Affiliates course, so hopefully it helps you, too. Right now Easy Product Displays is offering a free month for new users. After that, use code FEATHERPIXELS to save 15%. Do you have any tips to grow affiliate income?